- Rates shown are inclusive of all taxes and service charges. 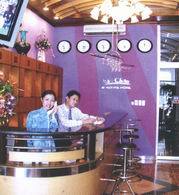 - Localed in the central business of downtown Ho Chi Minh city. - With 18 standard rooms, decorative beautiful, comfortable and ventilated.